Hi friends! 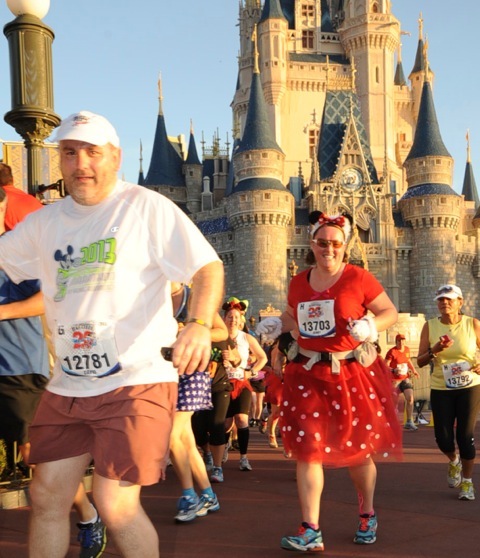 Jenny is recovering from an intense foot reconstruction surgery, but has agreed to share her tales of running the Walt Disney World Marathon. 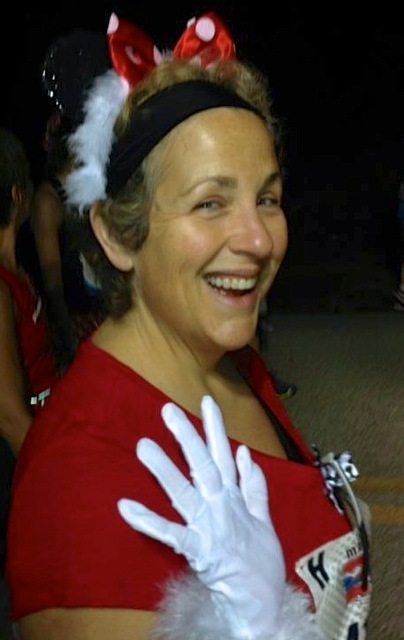 If you're just catching up, make sure to read part 1, which covers the Pasta in the Park Party, and part 2, which outlines her experience volunteering at the expo. 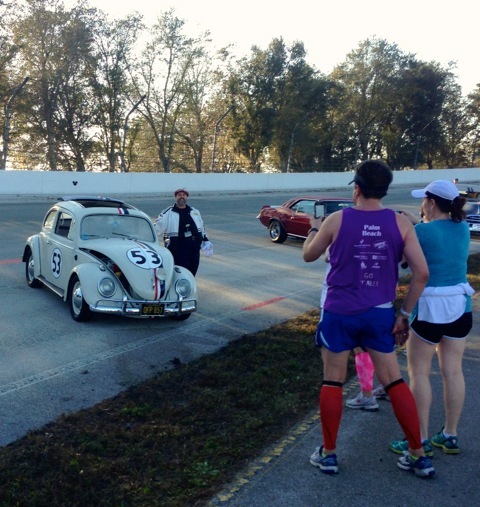 And now, for the piece de resistance, her race report! As I set my alarm for 2: 15 a.m. and lay my head down I hoped and prayed that I would be able to sleep. I love traveling to races but I dread the lack of sleep hotels often offer and this was no exception. 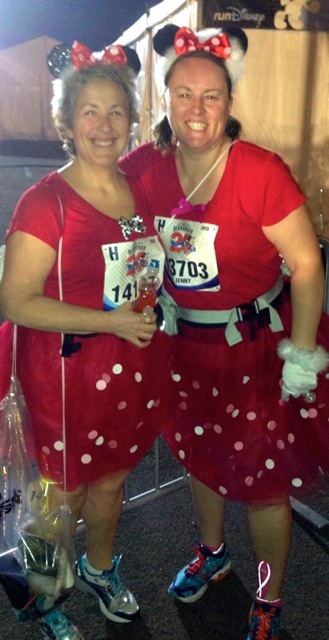 My good friend and running wife Barbara Dutton and I were school-girl-giddy to dress as Minnie Mouse and head to run the Disney Marathon. Bucket list item number two for Barbara and my third attempt at completing 26.2 miles, we decided to just finish the course and not PR. 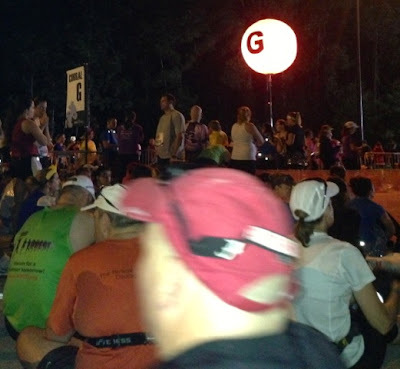 The heat forecast was for around 82 and thankfully with our 4: 30 a.m. start time a lot of the running would be before the sun had risen. 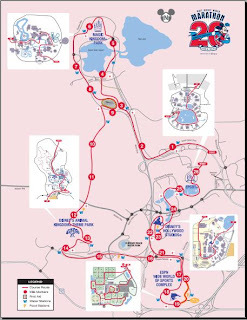 The course ran through all 4 Disney Parks so we had to get ourselves to the start line at the EPCOT theme park, easy right? WRONG. It was my decision to book our hotel and I made the same mistake Barbara did last year. 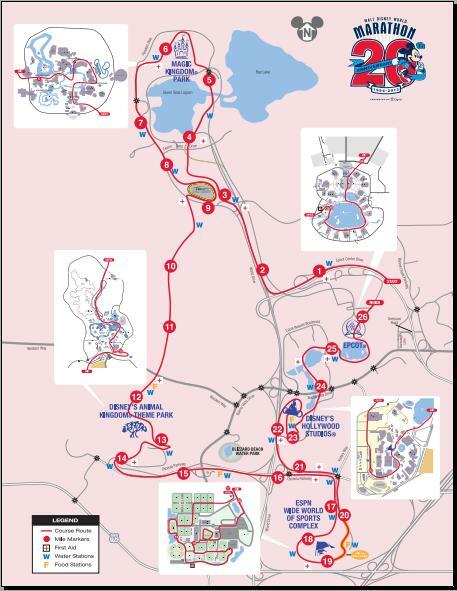 I booked the Hilton LakeBuena Vista, which makes no provisions for the Disney marathon runners. The hotel DID NOT offer a shuttle to the theme park and we had to leave our hotel at 3:15 a.m. at the latest. Barbara in her best “Dutton Law” voice had a WORD with the management, who we seriously uninterested in helping us. They promised to get back to us and never did and it was the very kind Bell Hops who eventually arranged us a shuttle. The traffic had started to get busy as we arrived at EPCOT so we quickly headed to gear check and then onto the port-a-potties. Barbara noticed that an aid station was offering water, Tylenol and sunscreen and she headed over to cover her self before we started the two-mile walk to our start corral. 25,000 runners were expected to cover the 26.2 miles with us and I have to say I’ve never seen such a mix of all shapes and sizes in runners. They were “average” shaped sisters, brothers and friends running together. They were there to commemorate anniversaries and memorials and not to be elite. This race was about having fun and being together. Fireworks signaled the start of each corral and we headed off with Corral G and down the service roads towards the Magic Kingdom. 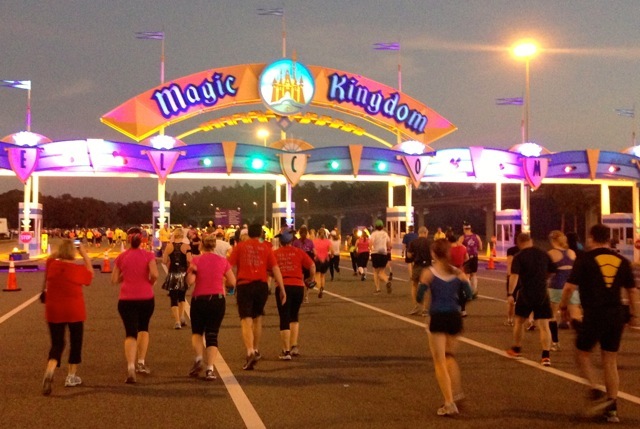 The first few miles passed quickly and we arrived at the Magic Kingdom entrance at mile 5. The course was full of plenty of aid stations, water/powerade stops, entertainment, character photos, sections of the parade floats, music from DJs and live bands, there was never a dull moment. The sun had finally fully risen when we reached Cinderella’s castle and the temperatures were starting to warm up. I had made us Minnie Mouse tulle skirts and Barbara decided she was just too warm to run in hers any longer. One of the places where marathonfoto are guaranteed to be is where you run through the entrance to the castle. Don’t miss your opportunity for a great pic. 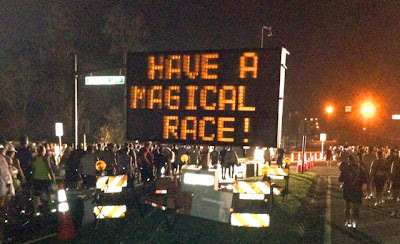 After the Magic Kingdom and when we hit Mile 8 we entered Disney Speedway and this is when my problems started. Having an existing foot problem and being on my feet too much the days running up to the marathon, I was struggling with terrible pain and nausea from the pain which was made horribly worse by running at a gradient around the Speedway. 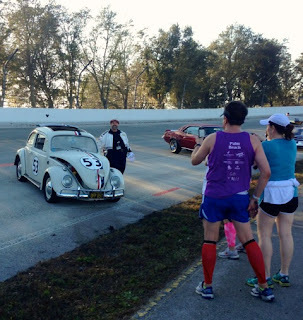 I tried to distract myself by eating some Gu and enjoying the classic cars and cars from movies, which were lined up on either side of the track, but that didn’t help. It wasn’t long before I was walking slowly and wanting to stop. 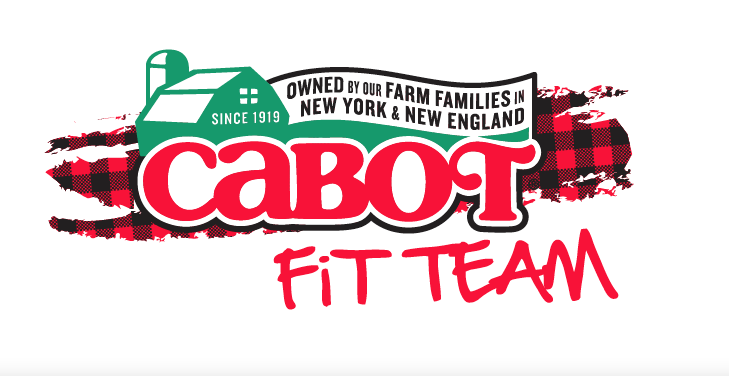 13 miles and every step is agony. My stomach is nauseous from the pain and my head hurts. Considering stopping made me very upset and I battle on through mile 14 and eventually to mile 15. At 15 and half miles I decide no more. My feet do not have another mile in them let alone 11 and I find a race official and ask to finish and leave the course. The lady who helped me was amazing and quickly arranged for a car to collect me and take me to the finish line at EPCOT. I get in the car and I am beside myself upset. Another official takes my details and we head home. L We collected two more people along the way and they were ecstatic about being picked up and I later heard someone had been picked up at Mile 1. We arrived at the finish line and were met by 6 doctors and race officials who kindly gave us our medals. One of the doctors quickly wrapped me in a space blanket and took me inside a shaded tent. After wrapping my feet in ice I was given snacks and water and was constantly checked to make sure I was feeling good. They were all amazing. I left the tent and headed to the finish line to wait for Barbara to come in. I wanted to ensure she was ok and to share her finish line joy with her J. When the runners crossed the finish line they were given their marathon medal or extra Goofy medal, taken for a finish line picture and given a bag of snacks, bananas and water. The end corral took you straight to gear check up and then to meet up with your family and friends. 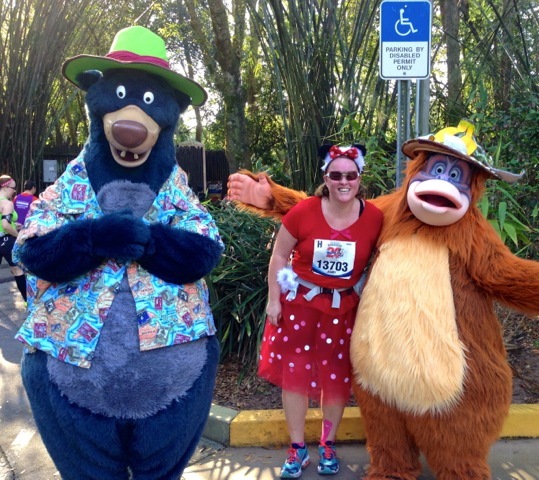 Thanks so much for sharing your Disney Marathon experience! It sounds like an absolutely magical weekend in the way that only Disney can create! That medal is just AWESOME. So, so, so sorry to hear about the foot injury, especially if you had to have surgery right afterwards. I can only imagine how agonizing it must have felt to try to run through the pain. But it was very smart of you to not pressure yourself to do more than you could safely do. There will always be other races and I've definitely learned the hard way not to push yourself too much. 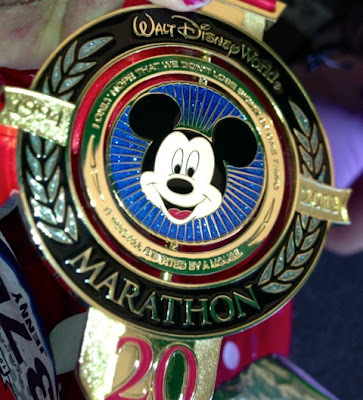 I've been wanting to do the Disney Marathon and/or any of the Disney races for quite some time, now, so your thoughts really are super helpful. Thanks again for sharing your entire experience!!! Thank you for sharing your story. 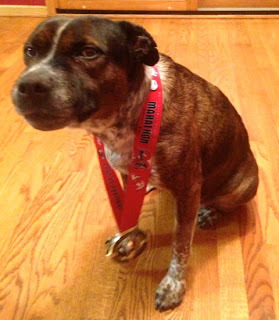 I am sorry that the race was tough but you definitely earned the medal even if you did not finish. I mean if I was in that much pain there would be no way I could have made it as far as you did!